View cart “Issue #48 (July 2018)” has been added to your cart. Costs less and you get more! 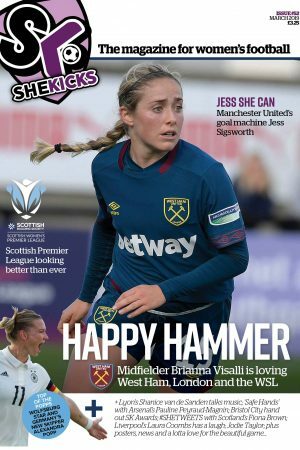 Subscribing is by far the most simple, most cost-effective and frankly the coolest way to ensure you get every issue of (one of your) favourite women’s footie publications. 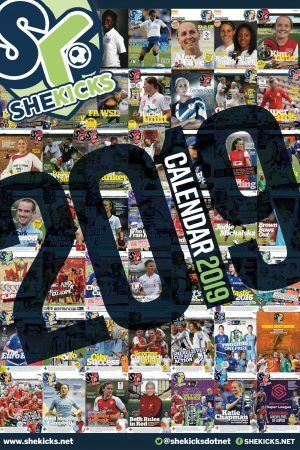 It’s £22 and for this you get a 12 month subscription to the She Kicks bi-monthly magazine plus a free copy of our 2019 calendar. Select the start issue for your subscription from the dropdown list; either issue #52 (Mar 2019), issue #53 (Apr 2019) or issue #54 (Jun 2019). Or, if you are an existing subscriber who is renewing your subscription, you can select My next Renewal Issue and we will update your subscription details. We can arrange birthday or team subscriptions too. 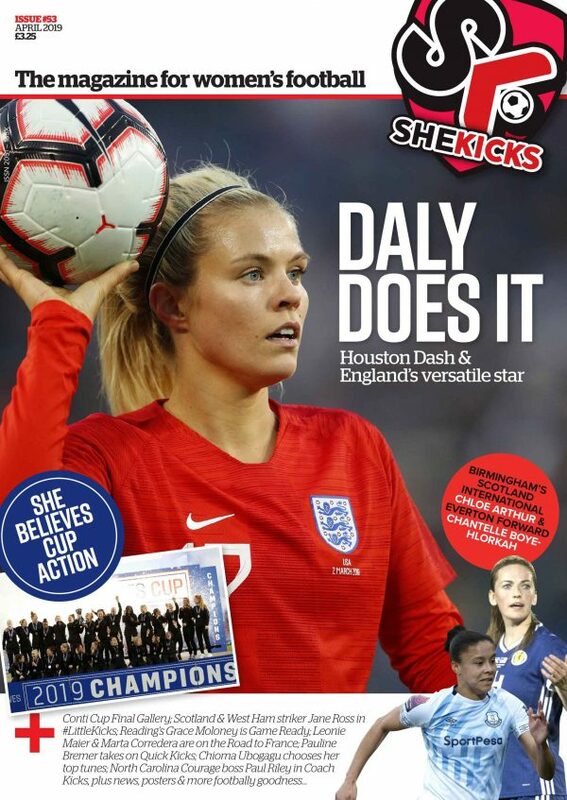 Just get in touch and/or if you wish to order more than one copy to the same address please email shop@shekicks.net or call 0191 442 4001 to get the cheapest deal. Contact shop@shekicks.net if you’re having any difficulty.